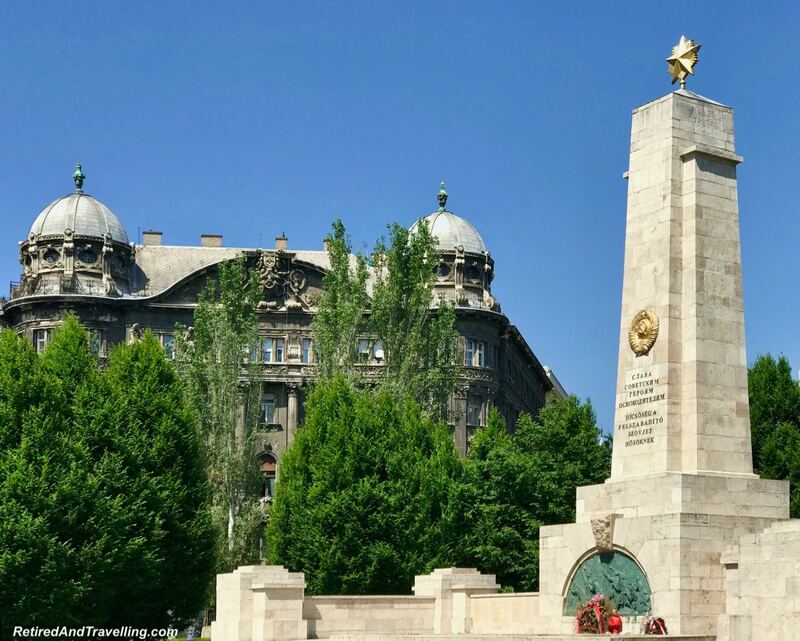 After we left our short stay in Bratislava, we finished up our Overland Adventure Travel (OAT) land trip in Budapest. It had been an amazing trip since we started in Prague. 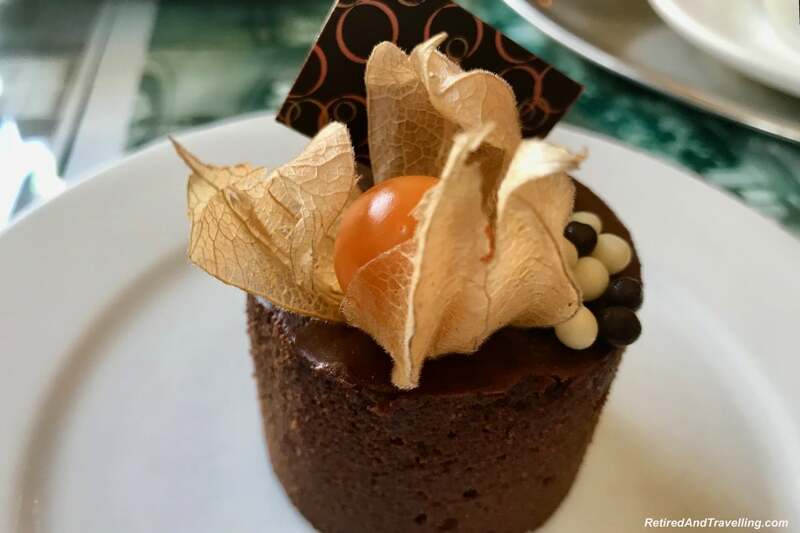 Before we began our trip, we were teased with images of Budapest from Amber at Wine.Travel.Eats! 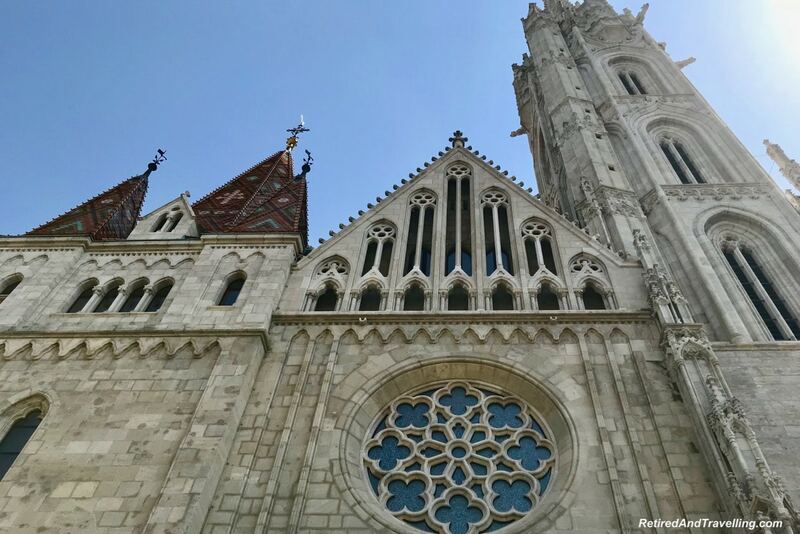 We had 5 days to explore all the things to do in Budapest. And then we headed off on our own to explore Austria and Switzerland. 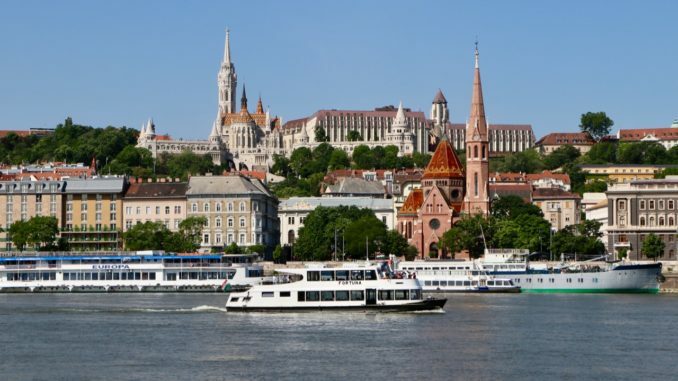 Ferries crossed the Danube River that separates the Buda from the Pest side of Budapest. We stayed on the Pest side with our OAT group. And then tried another smaller boutique hotel on the Buda side when we headed off on our own. Tour boats and river cruise boats lined the shores and toured along the river. 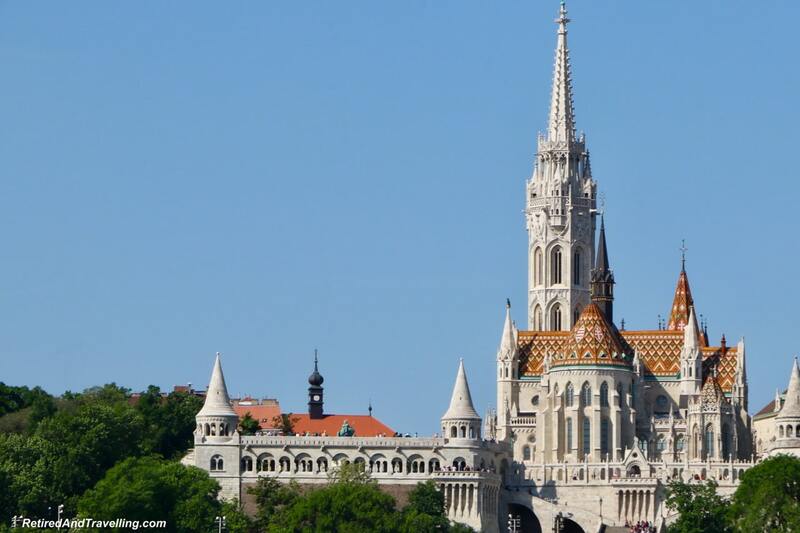 Budapest was a fascinating city that straddled the Danube. 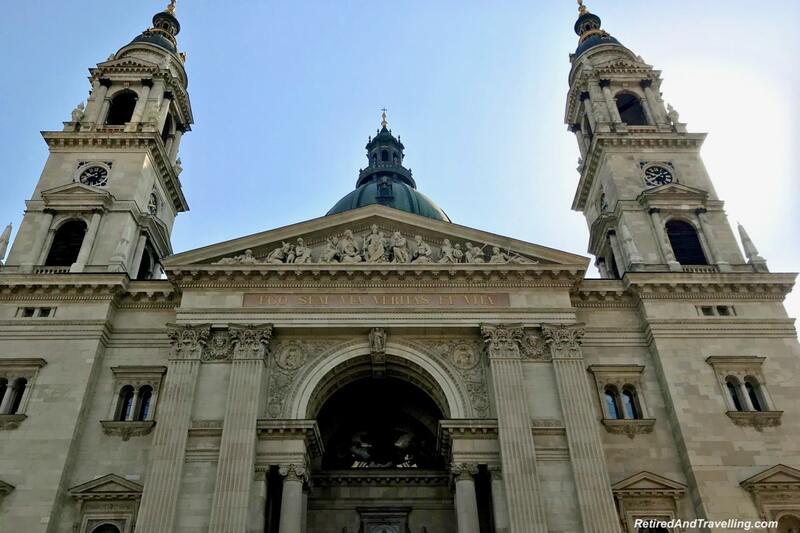 It was easy to find lots of things to do in Budapest. 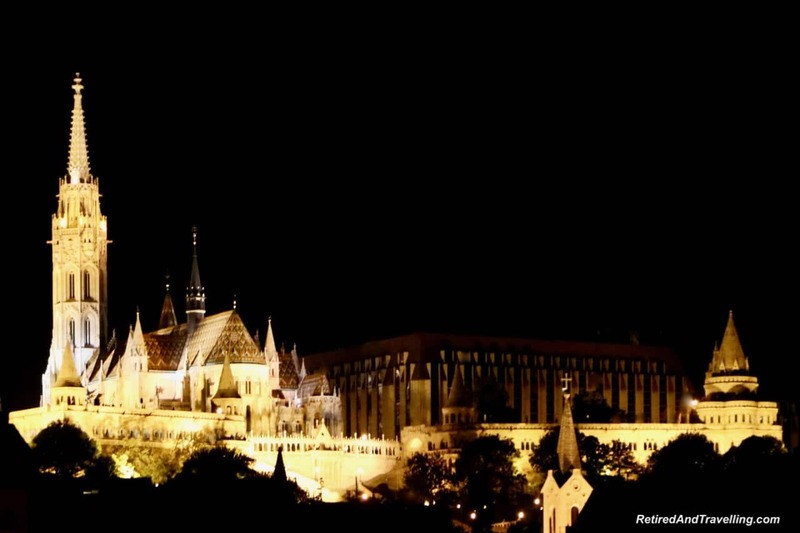 Budapest is one of the most beautiful cities to see at night. 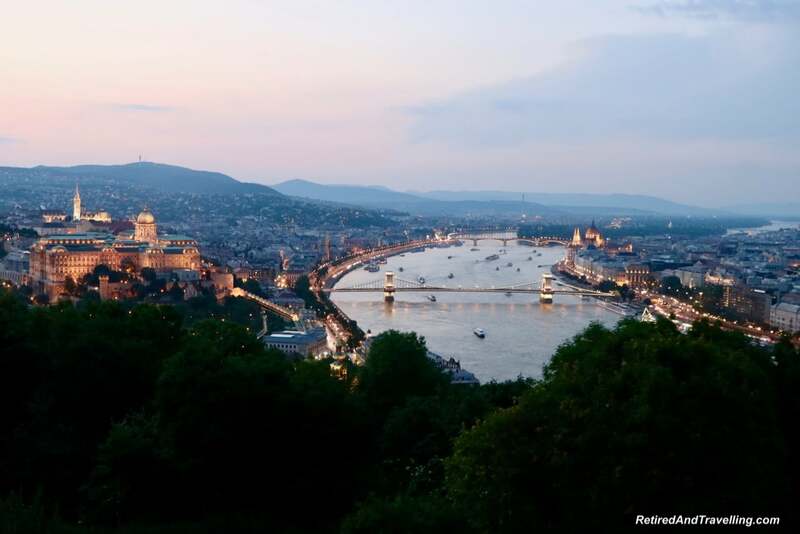 There is no better place to watch the sun set than to head high up on Gellert Hill. We walked to three different viewpoints to get different views of the city. As the sun set we saw the city start to sparkle. Watching the sun set is one of the best things to do in Budapest. We take river cruises regularly for cities that are on the water. When we visited Prague, we did a day cruise and got a great perspective from the Vltava River. In Bangkok, the gold temples along the river were not to be missed. In Budapest, we took a night river cruise and caught the most magical view. 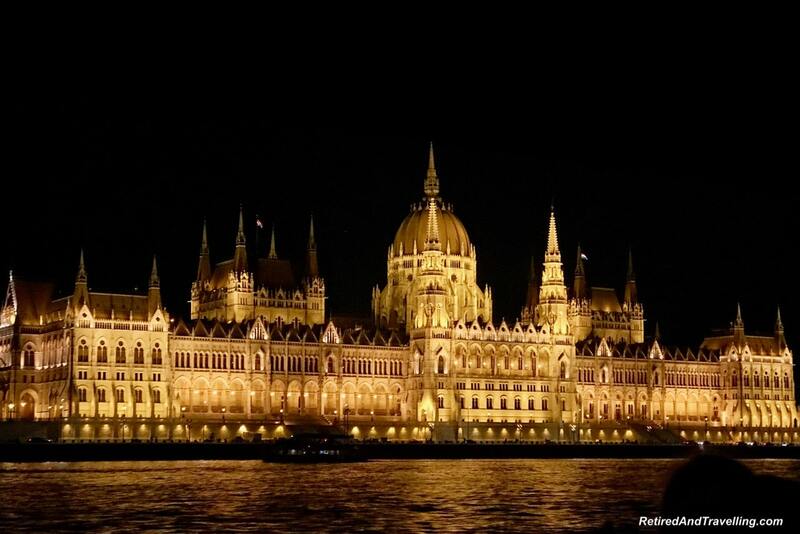 A night Danube River cruise in Budapest is absolutely one of the things to do in Budapest. 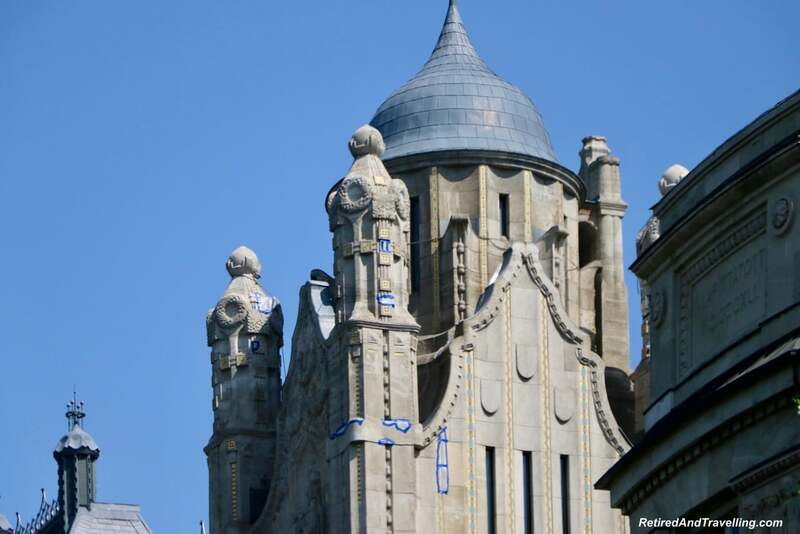 The Dohany Street Synagogue is largest synagogue in Europe and the second largest in the world (seats 3,000 people). You can see the spires high on the Pest side of Budapest. 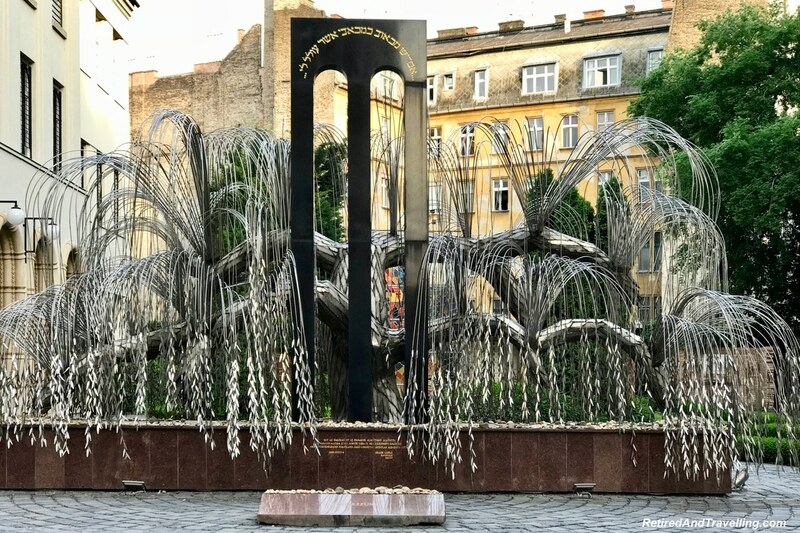 Located in the courtyard is the impressive Memorial of the Hungarian Jewish Martyrs. 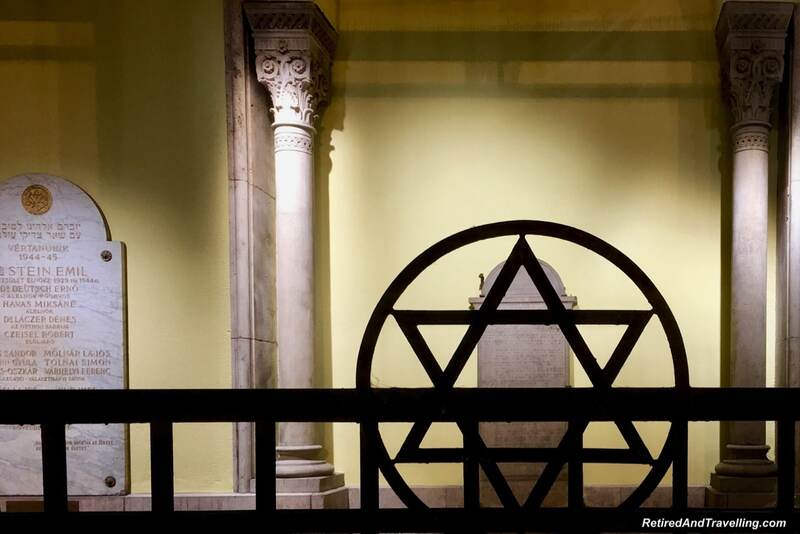 It was a stark reminder of the Jews murdered by the Nazis. Each leaf of the weeping willow included an inscription with the names of victims. 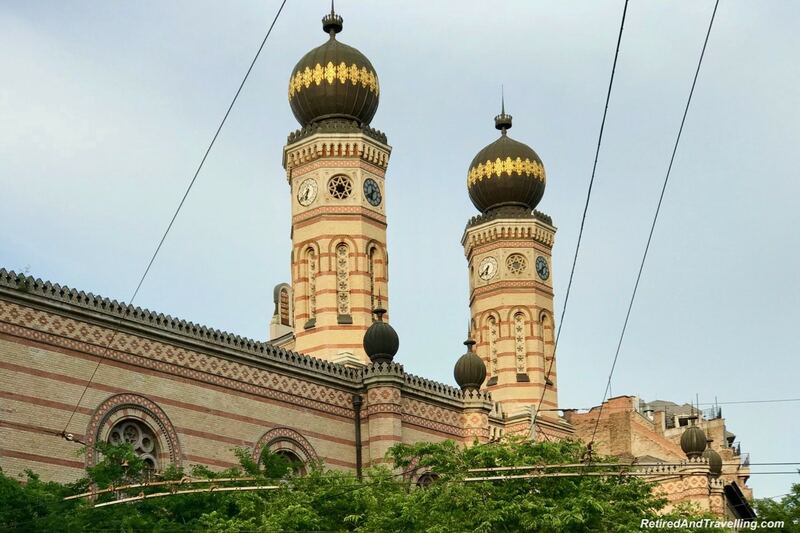 If you want a historical reminder, the Dohany Street Synagogue is one of the things to do in Budapest. Our first view of St Stephen’s Basilica was from the back. When we entered from vast open square in front, we got another view of this grand church. We were glad that we went in to see the inside. It was busy inside with tours but they moved with a rhythm that left us with openings to enjoy the church on our own. 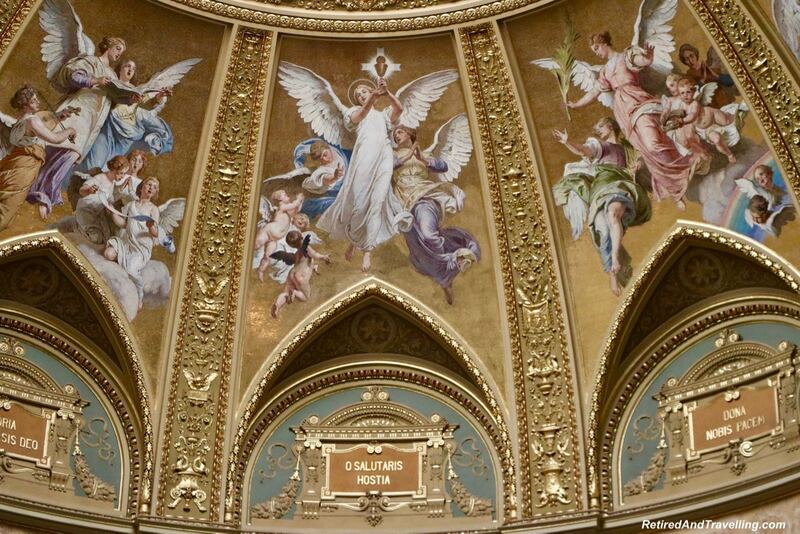 The main altar sparkled with gold under the golden dome. 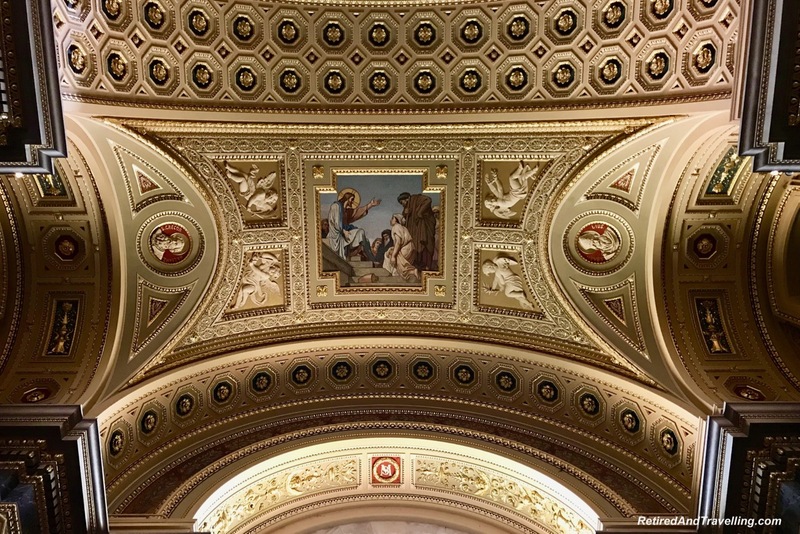 The ceilings and main dome of the church caused us to take up a spot to explore the detail above. Winged angels looked down on us. Colourful stained glass windows as always drew me in. 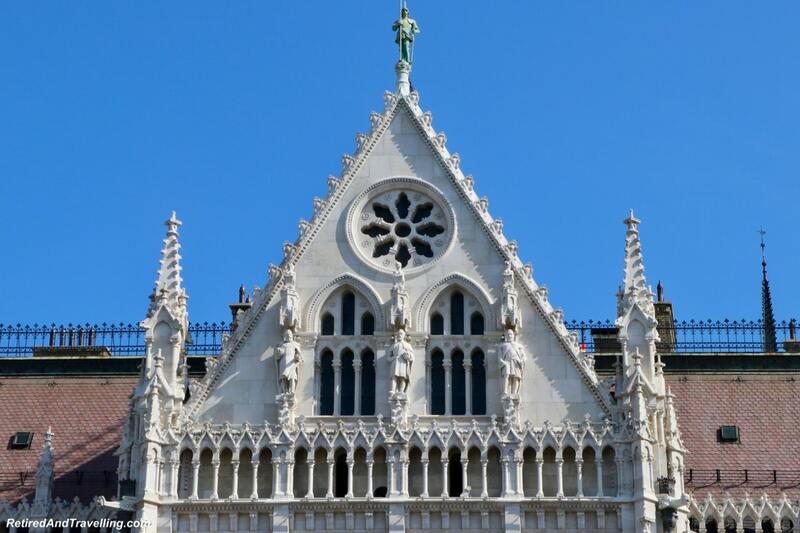 The patron saint of this church was St. Stephen, the first king of Hungary. We saw his mummified right hand in a glass case. 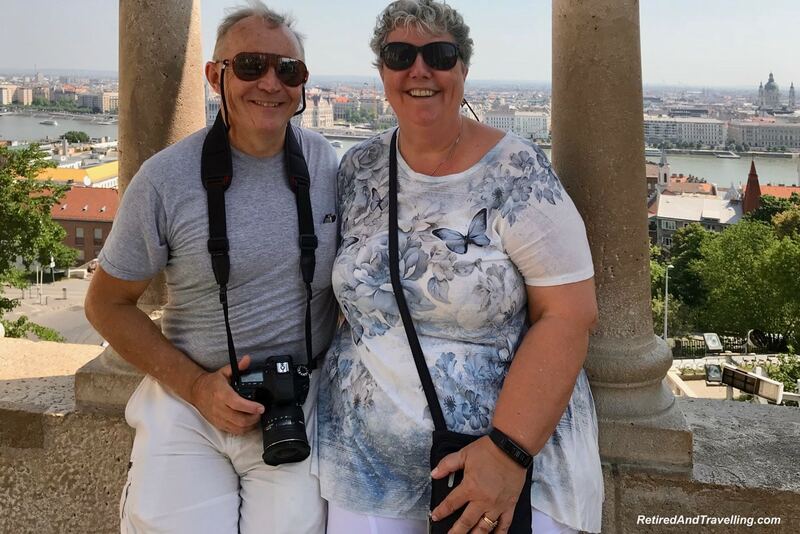 We were sorry that we did not have time to climb the 364 stairs or take the elevator up the tower for a panoramic view of Budapest. 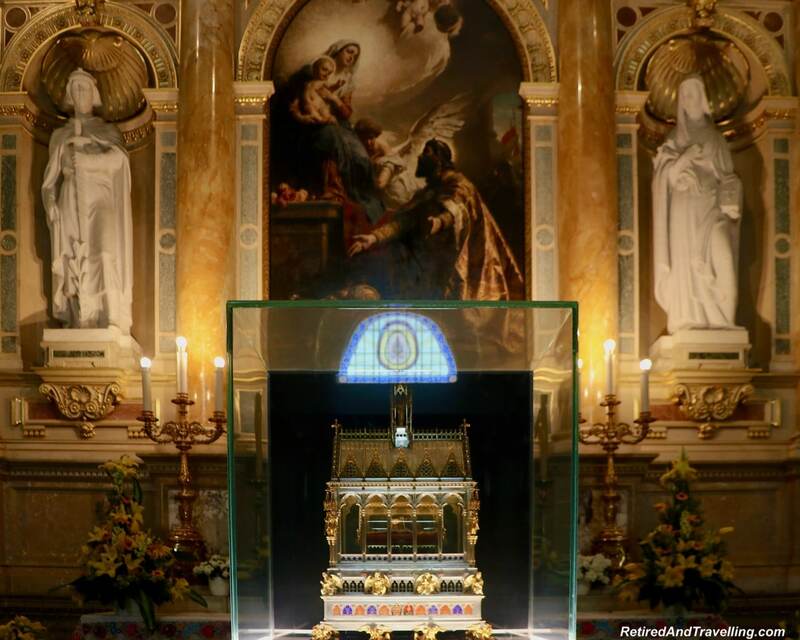 This will be one of the things to do in Budapest for a return visit! 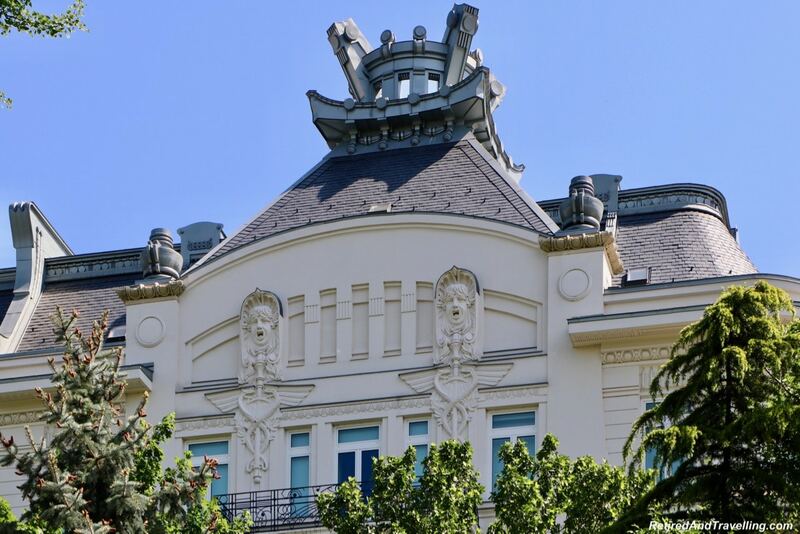 There is so much to see when you head up the Buda Castle Hill. There are many ways to get to the town of the hill complex. 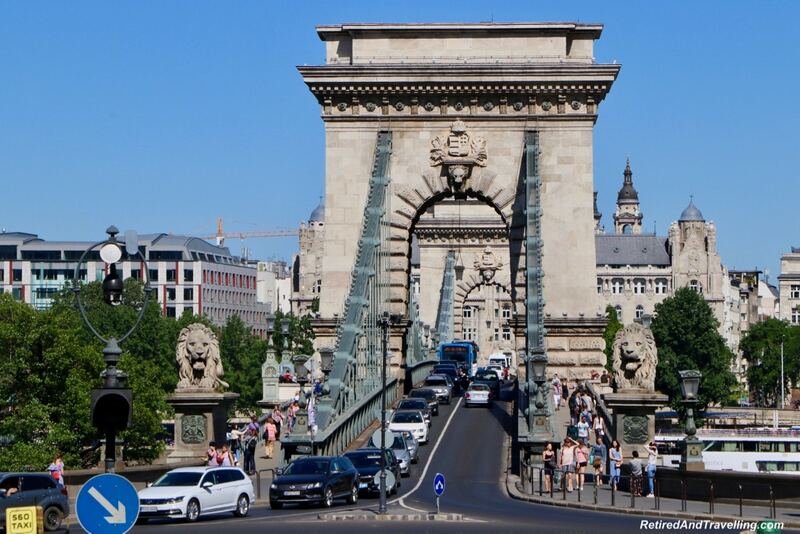 Take public transit or one of the Buda Castle shuttle buses. 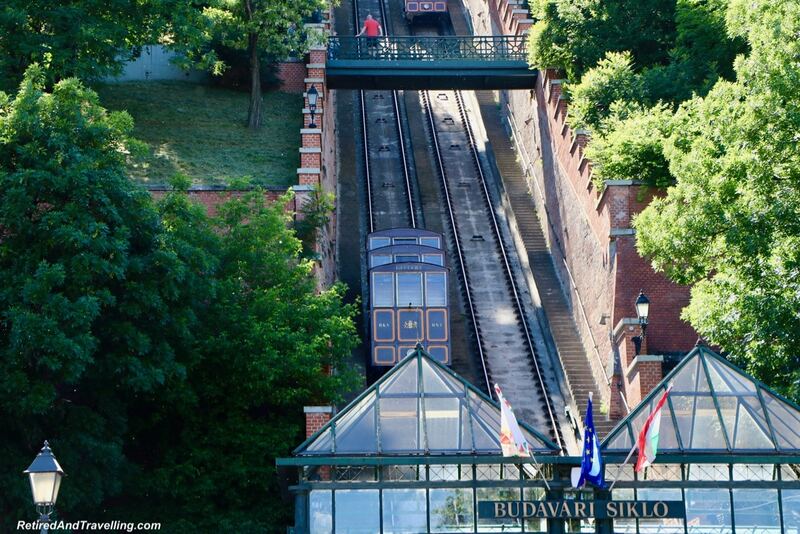 The funicular by the Chain Bridge is also a fun option. The main castle site stands high on the hill and spreads for miles. We explored the old castle village on foot. There was so much to see as we walked. 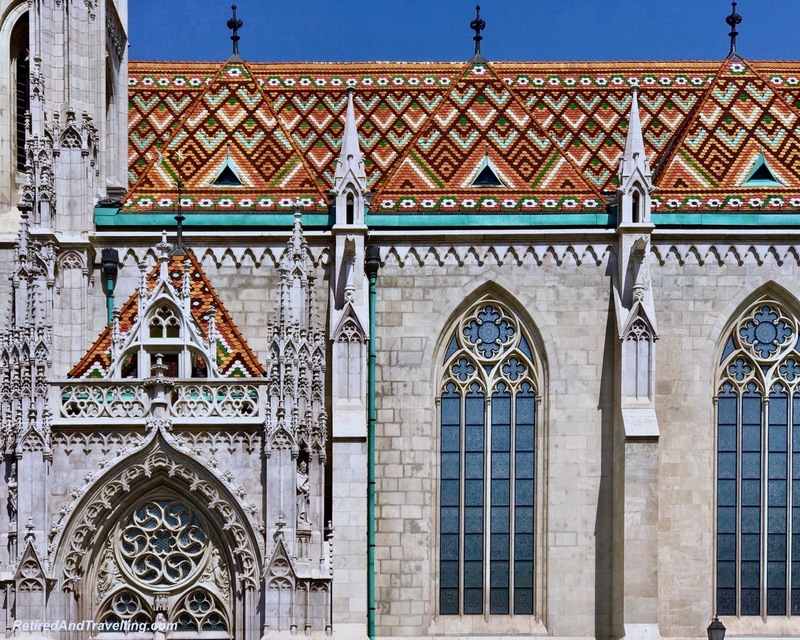 Matthias Church with its colourful roof can be seen from everywhere in Budapest. We walked around the outside to explore the details. But did not have time to go inside. The viewpoint at Fisherman’s Lookout is an architectural delight. And the views from this point out to the Pest side of Budapest were stunning. 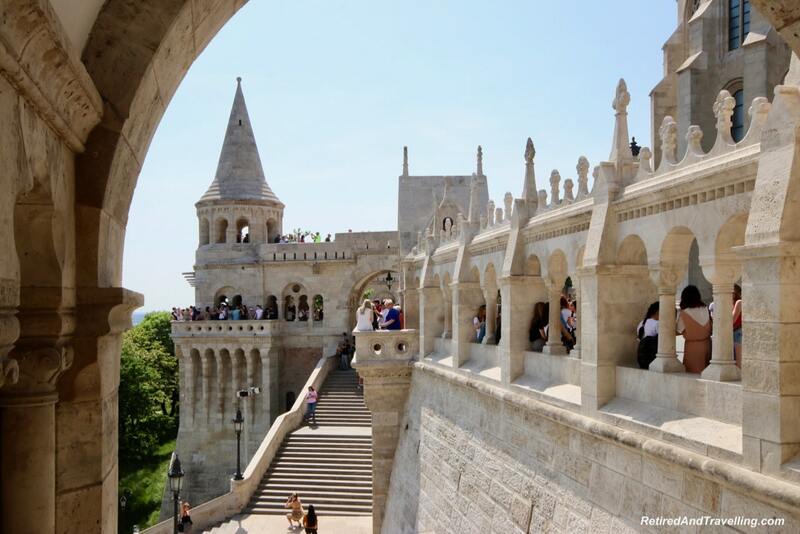 We visited the castle gardens one day when we stayed on the Buda side. The entrance is on the water level and we walked up into a beautiful arched walkway. At the top we wandered through the gardens and enjoyed the views. 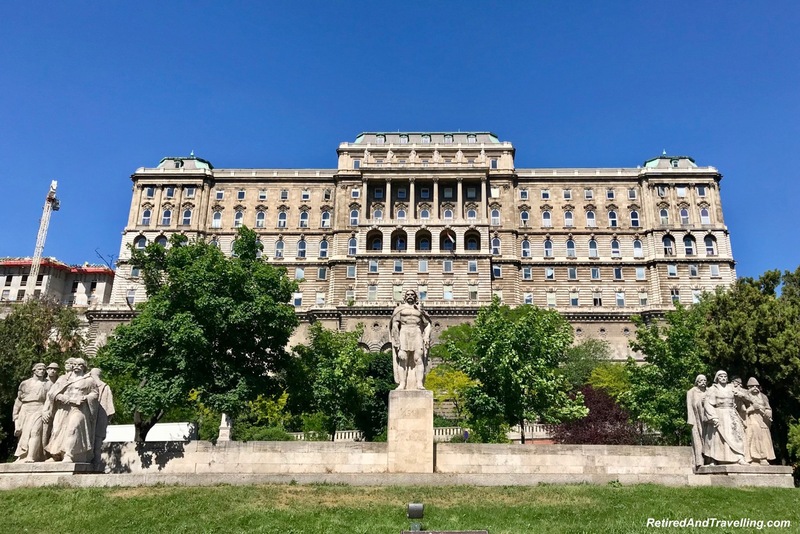 We explored the Buda Castle hill several different days. 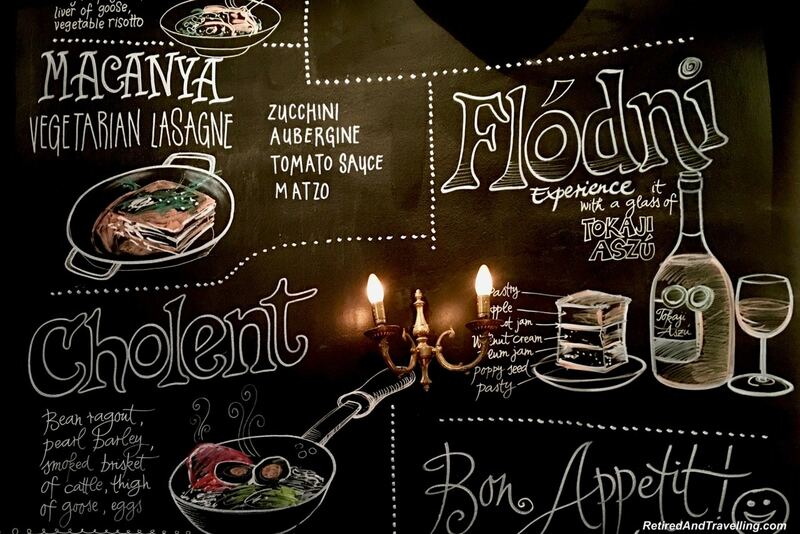 This is definitely one of the things to do in Budapest that you need to plan time for. We got our first view of the Parliament from the Buda Castle hills. Our visit to Budapest ended with a night Danube River cruise and a sparkling view of the Parliament buildings. The next day we had a walking tour to the Parliament with our guide Gabor. 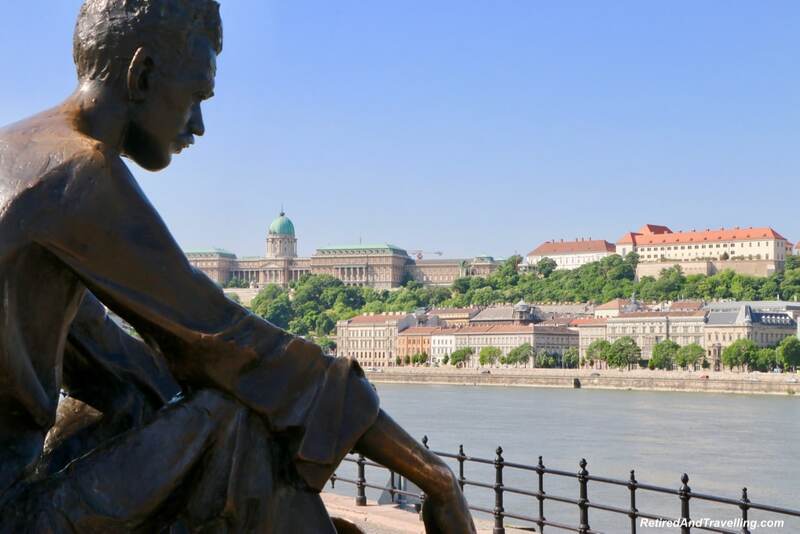 He lived in Budapest through various historical times. And had fascinating insights into what it was like to experience life in those time. 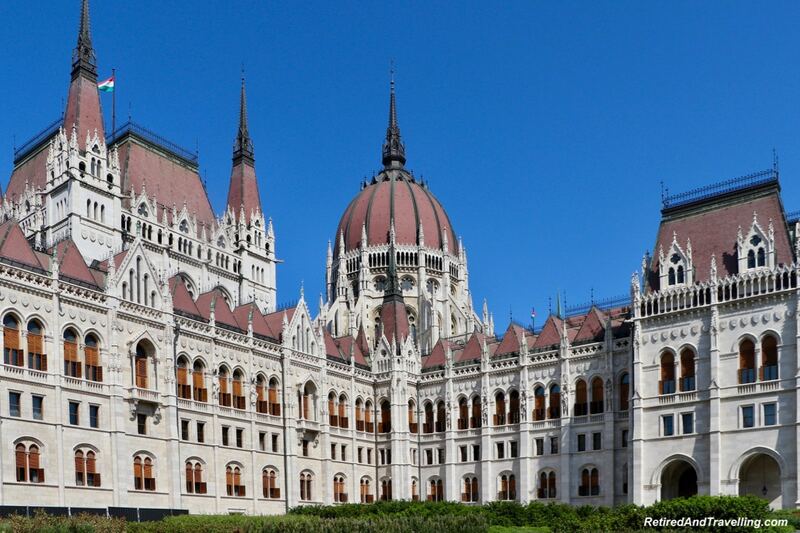 As we moved around the outside of the Parliament Buildings, we got a view of the remarkable building we saw from afar. As we walked the streets around Parliament, we saw many war memorials. They were pocked with bullets as a reminder. 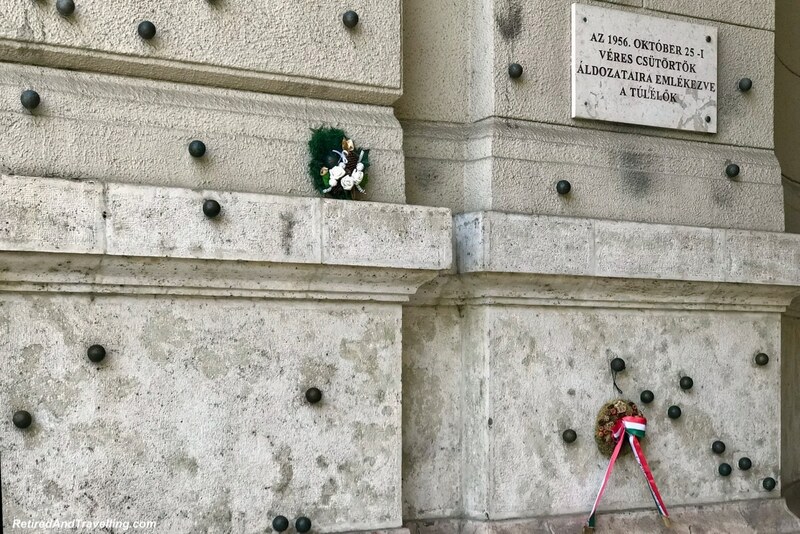 The Russian War Memorial commemorated the Soviet soldiers who fell in the battle of Budapest 1944-1945. Located close by was a statue of Ronald Reagan. 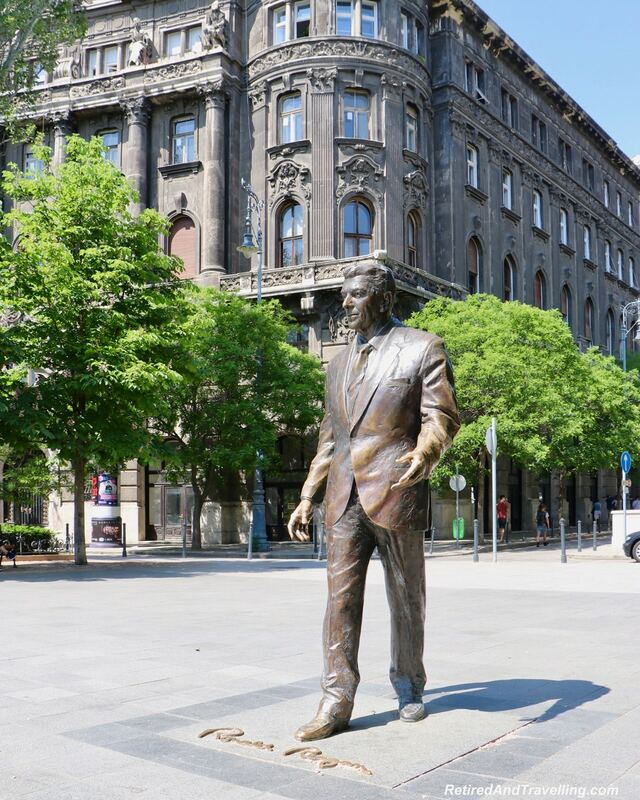 He is the man who many attribute to ending communist rule in Budapest. 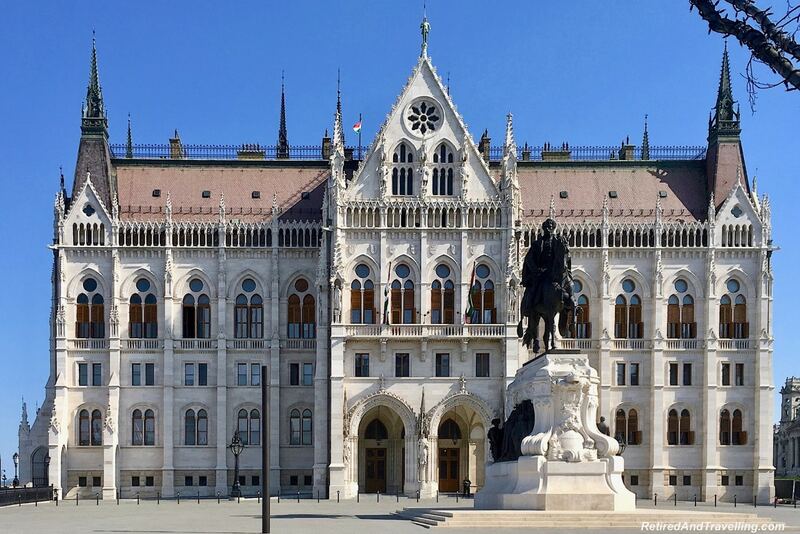 Visit the Budapest Parliament and wander around the area. 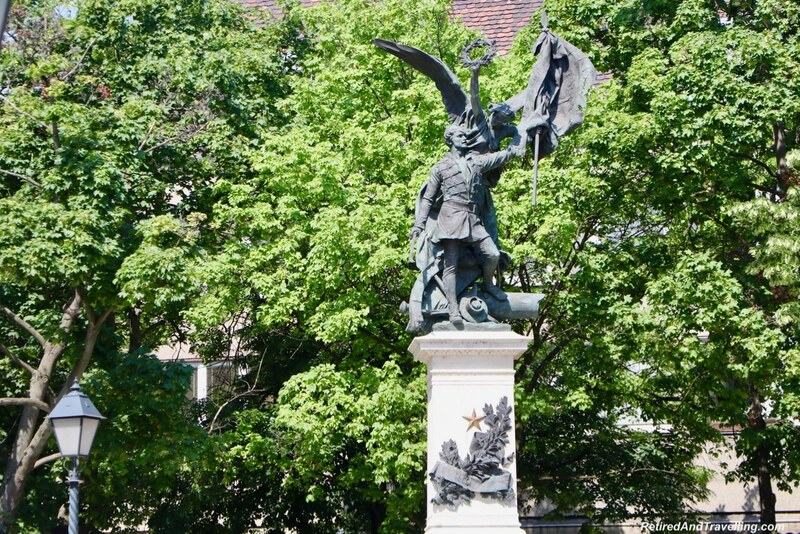 This is one of the things to do in Budapest to understand some of the history of this city. 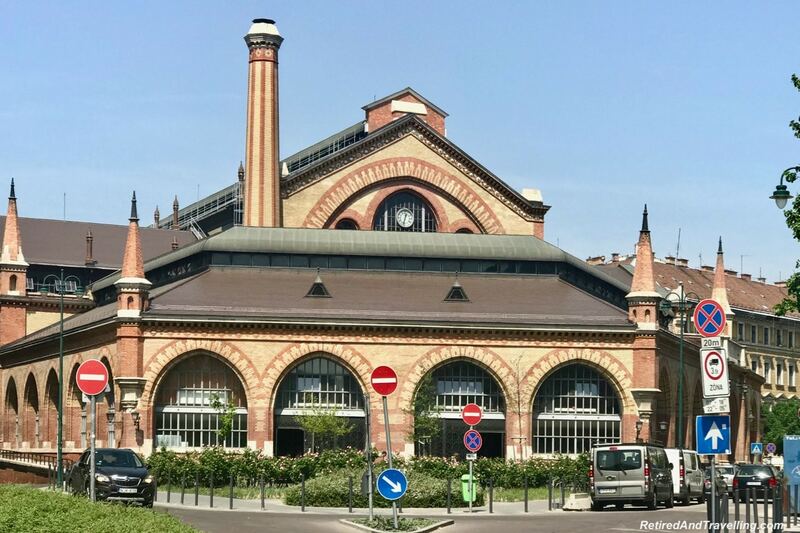 We visited the main train station twice – to get our tickets and then to travel to Vienna, Austria. The outside of the train station was an architectural delight. Carvings decorated the facade. Interesting statues decorated the square outside. But the inside of the train station was a surprise. 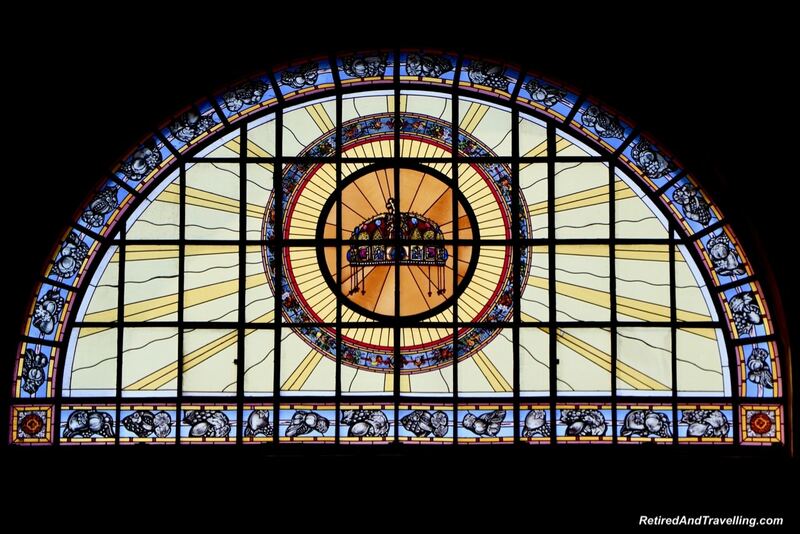 We have found beautiful train stations around the world. 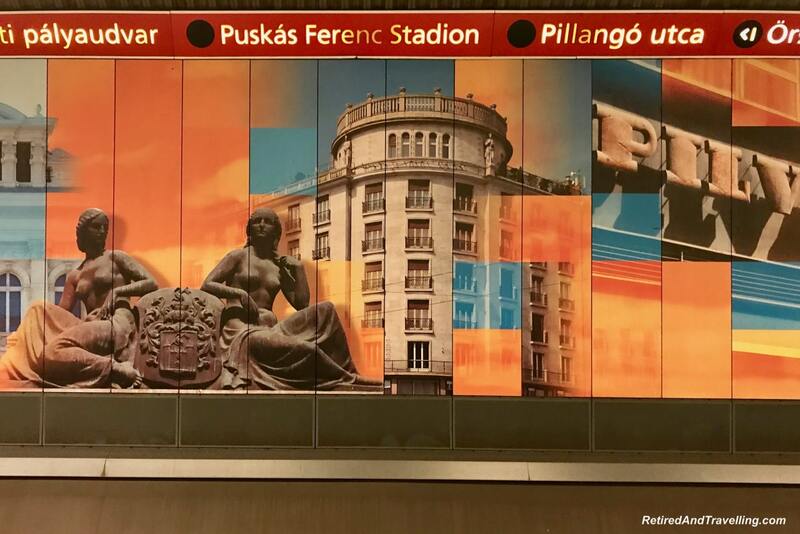 When we visited the train station in Porto, Portugal, every inside surface was decorated with the traditional Portuguese tiles we found everywhere in Porto. In Budapest, the main customer service area had a large open atrium. And the walls were decorated with gilt and paintings. 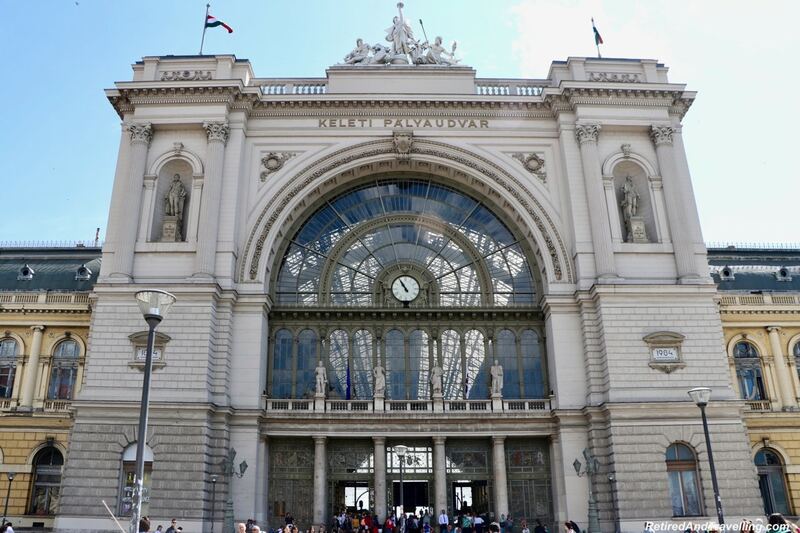 Whether you travel by train or not, a visit to the train station is one of the things to do in Budapest. With all the walking we did in Budapest, we needed to stop regularly to eat and drink. We found no shortage of great options! 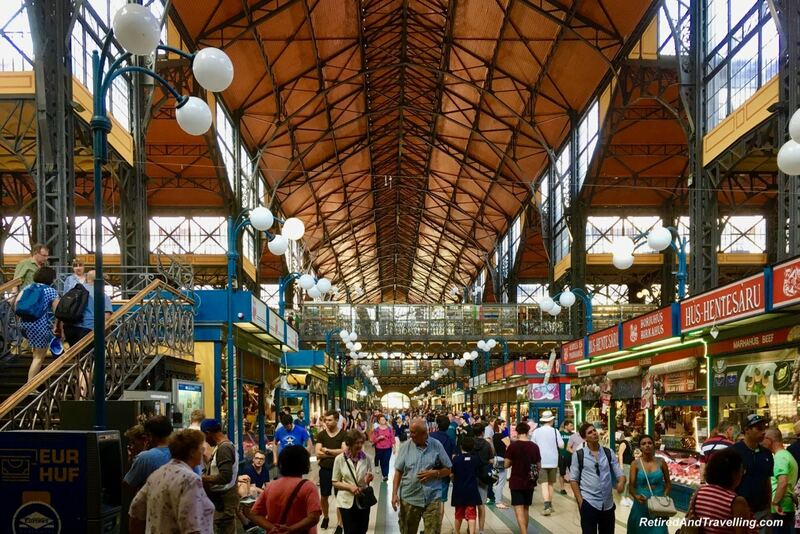 For a great selection of local products we visited the Vásárcsarnokot Market. We had several local meals with traditional foods. But the desserts stuck out in our minds. 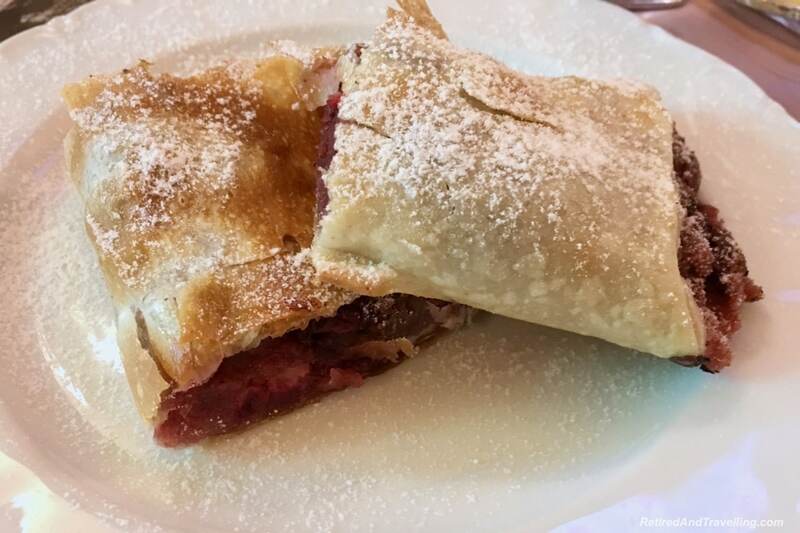 One day we visited the Strudel House. Not only did we get a great sweet treat. 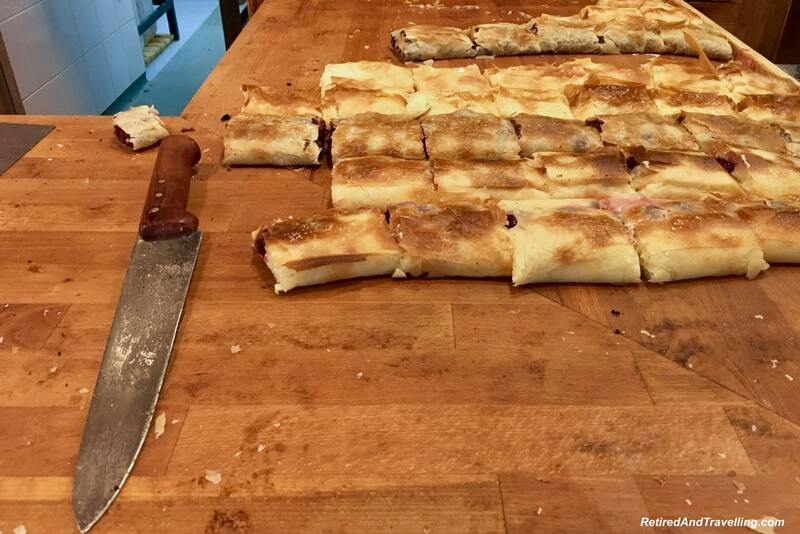 But we got to see them making trays of strudel. Other nights we got a traditional floating island dessert and a flodni dessert. Every day we found a different coffee or tea shop to try. But of course we were really there for the chocolate! 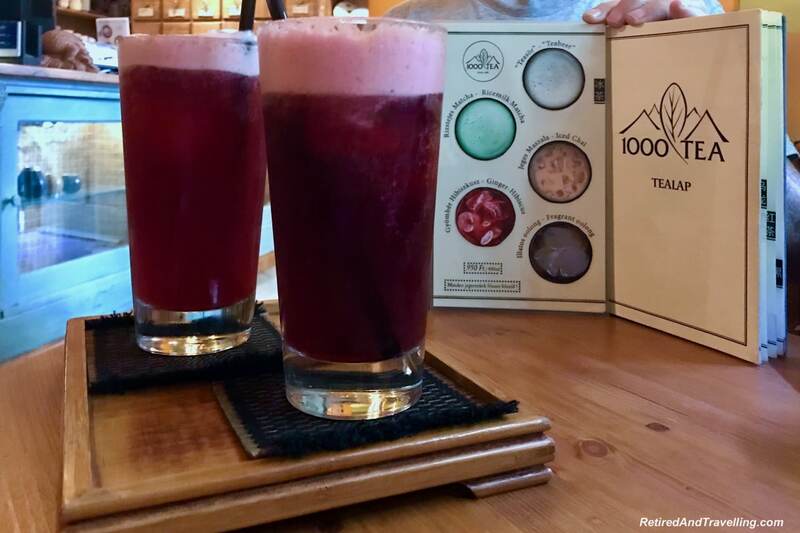 Looking for good food and drink was one of the things to do in Budapest that kept our energy up for all the walking we did. 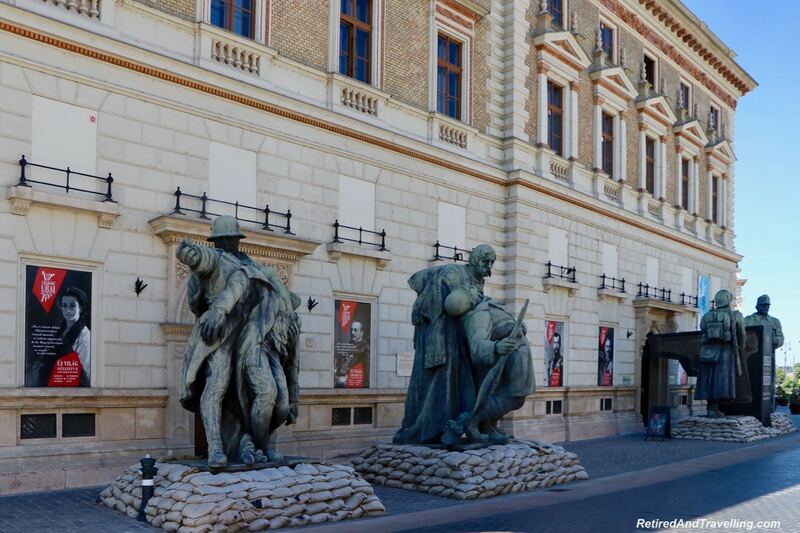 We were amazed at the architecture we found when we visited Prague and travelled through the Czech Republic. We captured hundreds of images every day. So by the time we reached Budapest, we were a bit jaded. The city is absolutely lovely and shows off its charm. We found virtually every styles as we walked the streets. 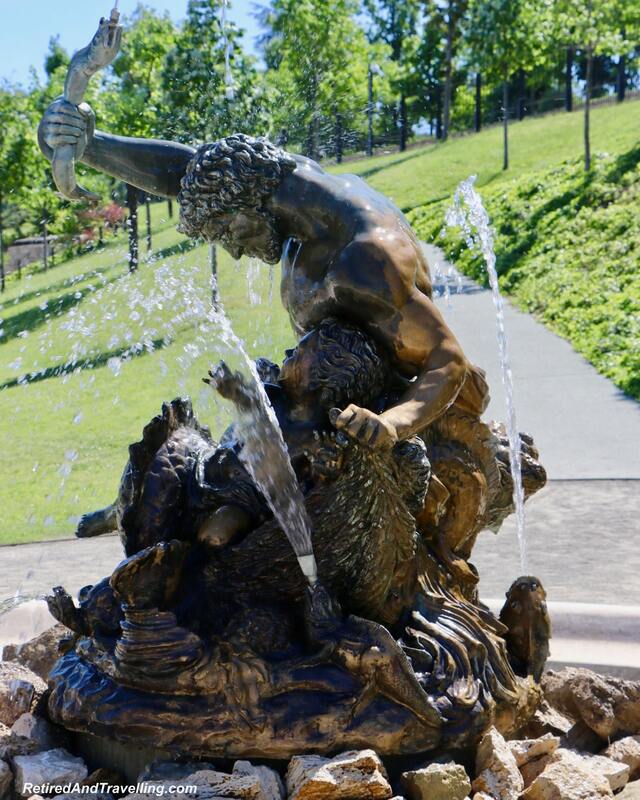 There was also outdoor sculptures everywhere we looked. 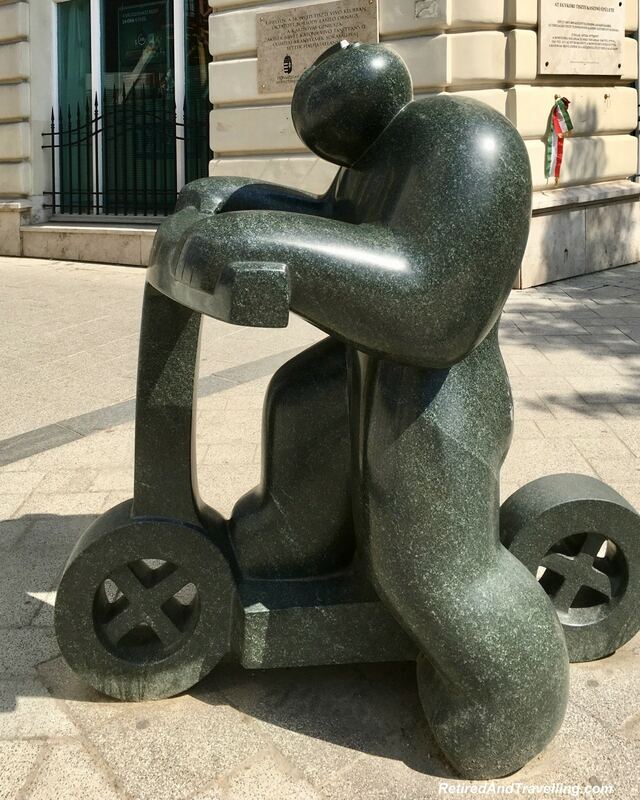 While many of the statues were tributes to local heroes, we also found a large number of interesting modern art sculptures. 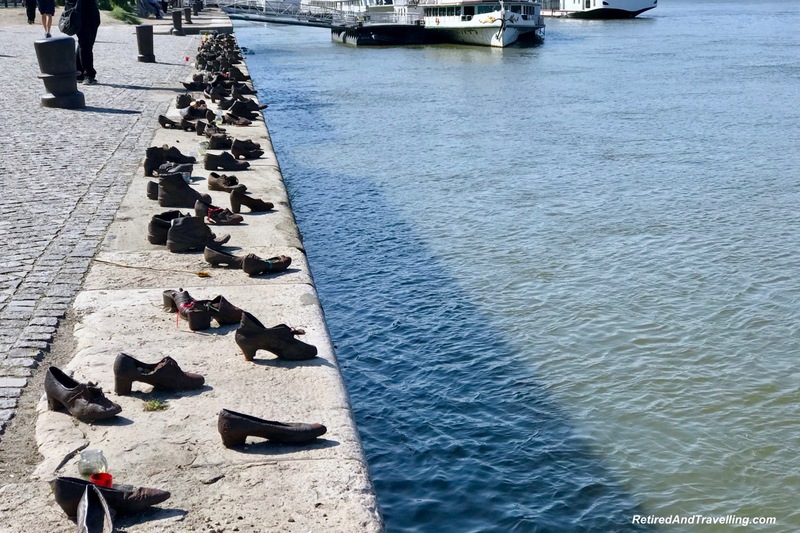 When we visited the Budapest Parliament, we had to stop at the Jewish Shoe Memorial called “Shoes On The Danube”. Littered on the bank were a series of bronze shoes. They were a reminder of the time when Jews were forced to strip naked on the banks of the Danube. When they faced the river; a firing squad shot the prisoners at close range in the back so that they fell into the river. Only their shoes were left behind. 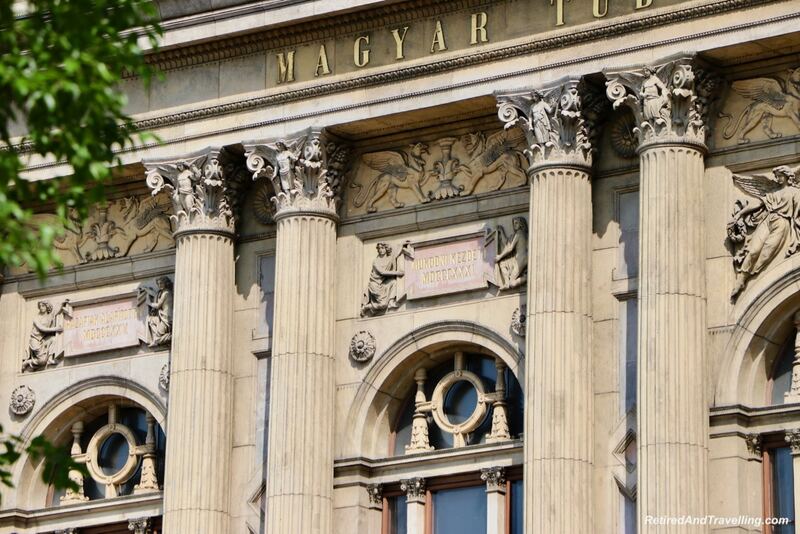 Walking to enjoy the art and architecture is one of the most diverse things to do in Budapest. We did much of our exploring on foot. When we needed a break, there was always a tram or Metro to be found. 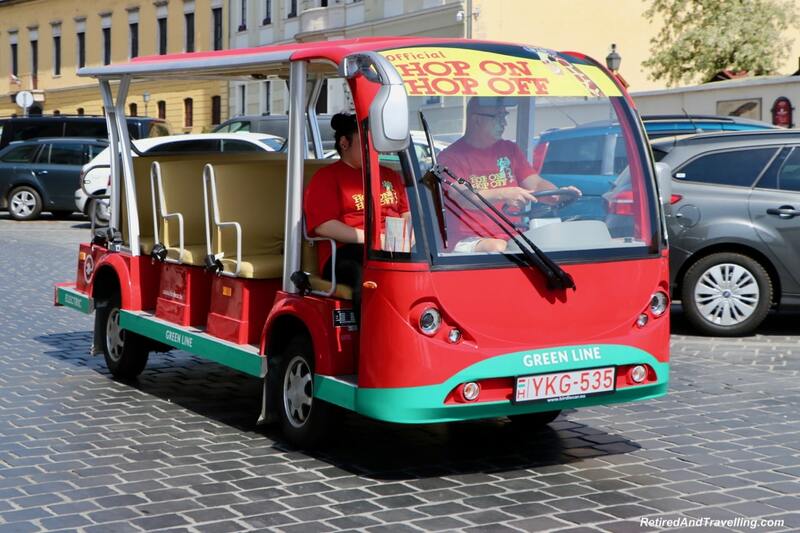 Tours were offered in Hop-On-Hop-Off buses, in cute little tuk tuks or on segways. Bikes were available for rent. And these interesting big-wheeled skateboard-like things looked like fun. Heros Square is located in the City Park. We found so many other things to do in the park. There is a large zoo and a circus too. 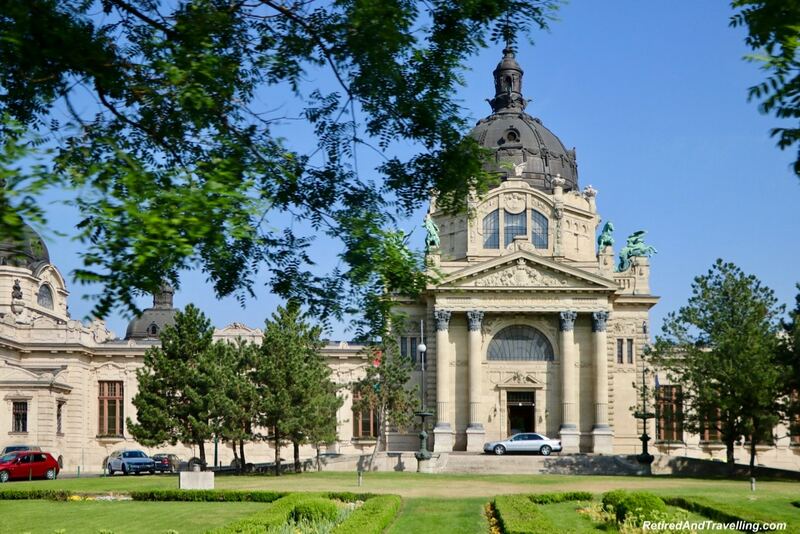 The Szechenyi Furdo Spa is located there with a massive thermal park. This is just one of the many thermal parks in the city. 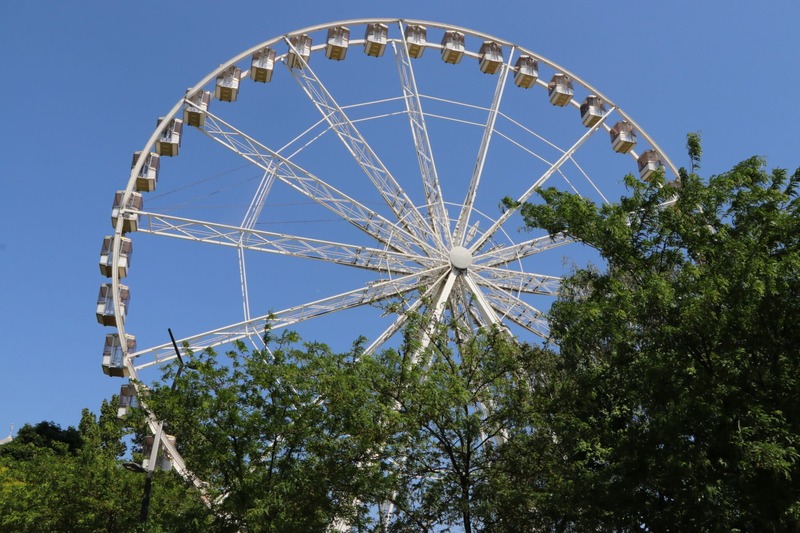 The Budapest Eye ferris wheel is located on the Pest side. It is a fun spot to take a ride for panoramic view of Budapest. We loved to walk along the river. So many of the great Budapest sights can be seen from the water. 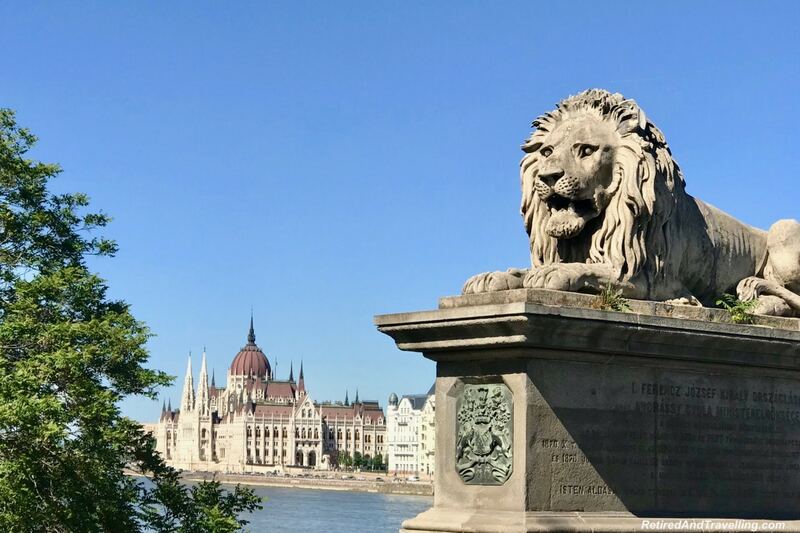 When we stayed on the Buda side, we explored the Chain Bridge with the lions guarding the entrance. 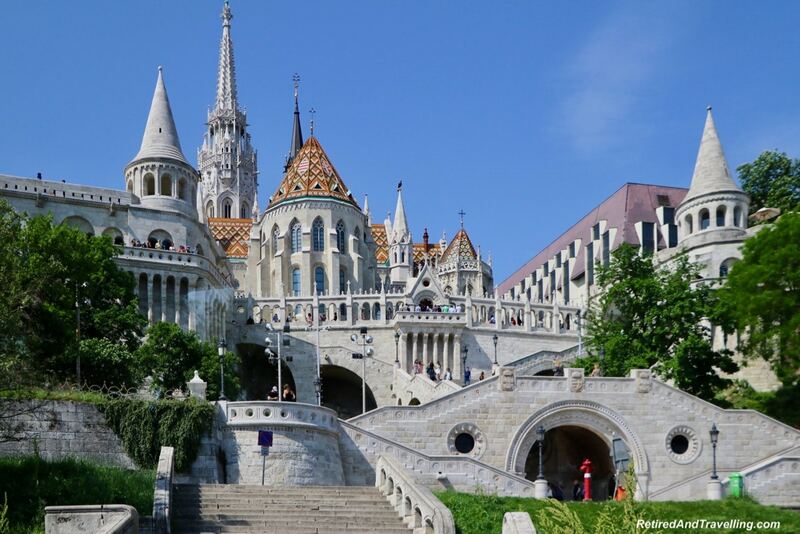 There are so many things to do in Budapest. 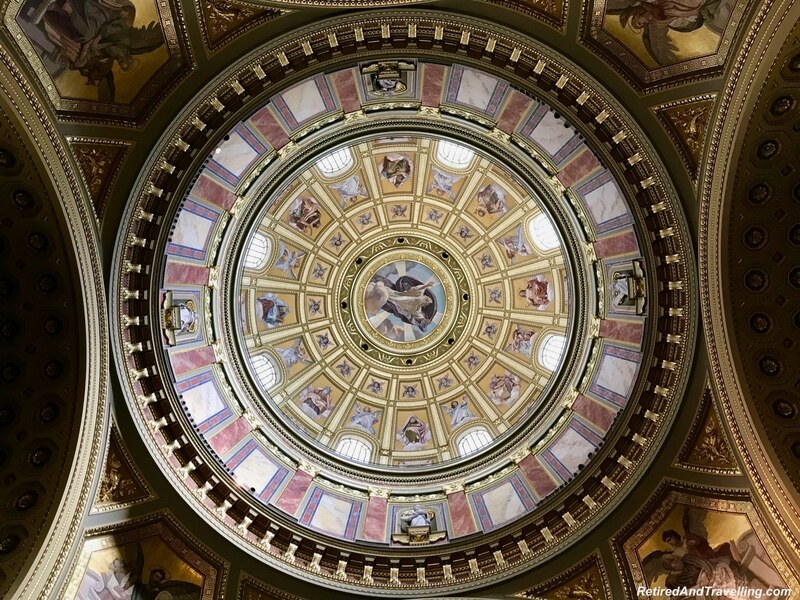 If you really need more things to do in Budapest, consider a day trip out of the city. 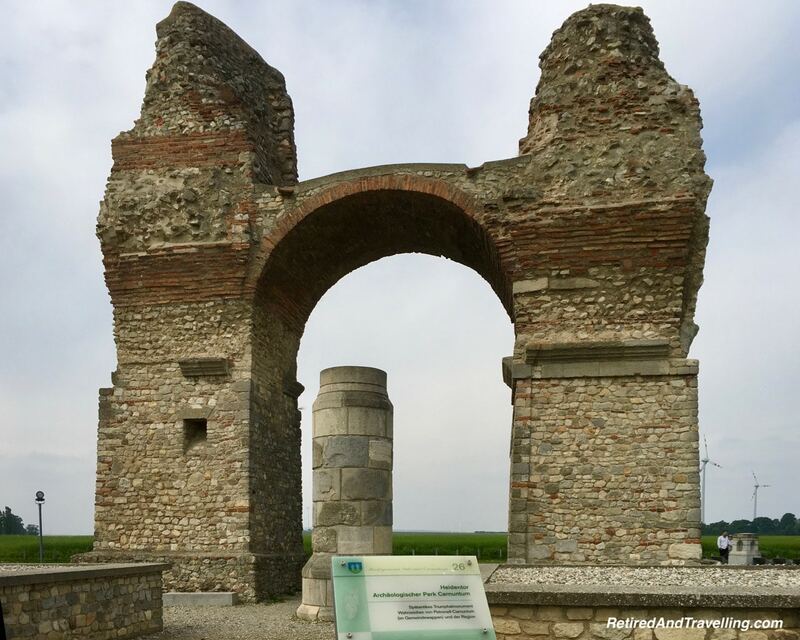 The Roman ruins in Carnuntum are an easy day trip from Budapest. 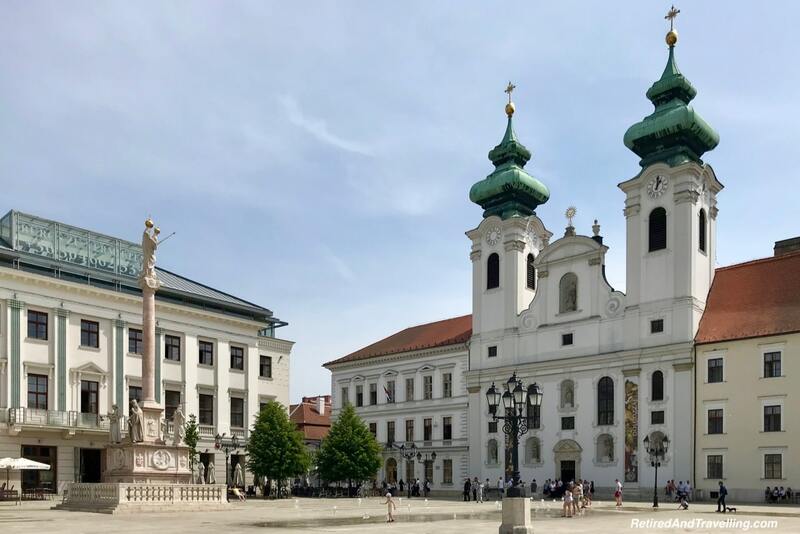 On our trip into Budapest, we had lunch in the small town of Gyor in Hungary. It was a quaint little town. 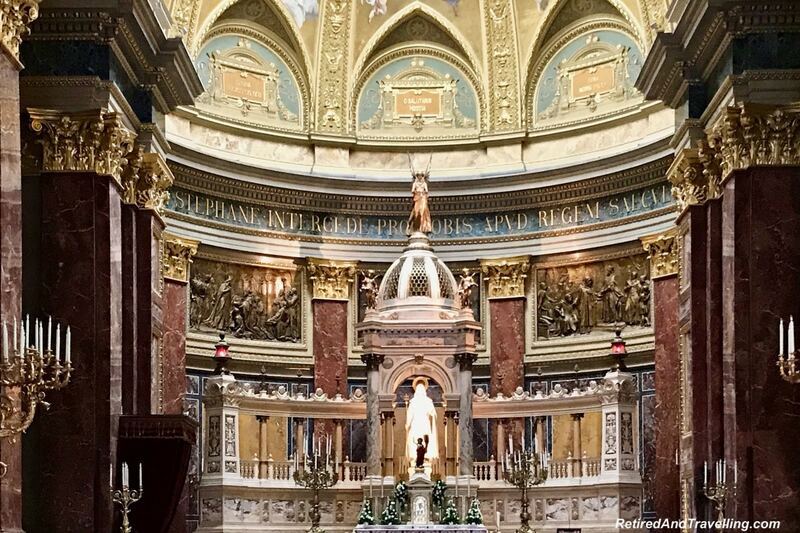 Our walking tour took us to make of the beautiful religious sites in this small town. 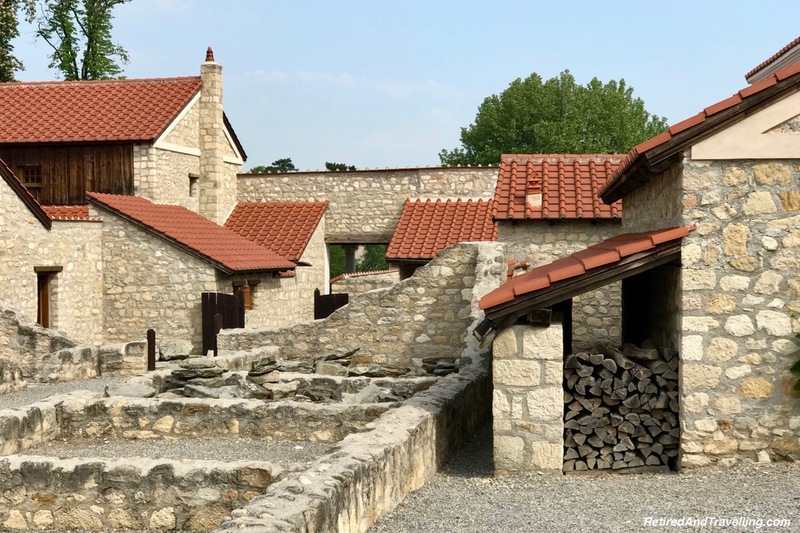 It is definitely an interesting day trip from Hungary! 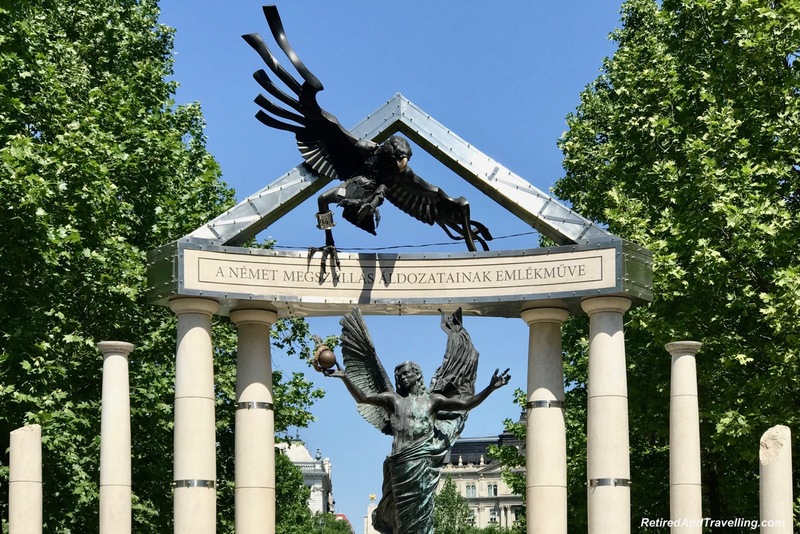 There are lots of places that are an easy day trip if you find yourself wanting more things to do in Budapest. 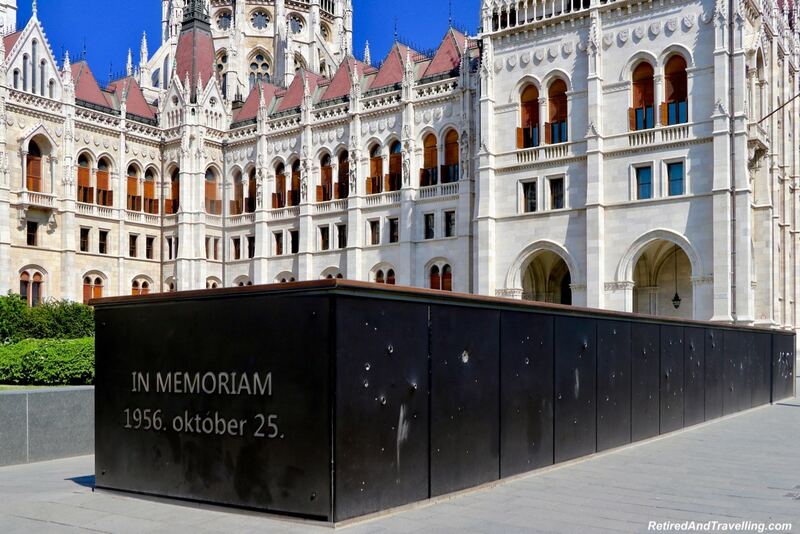 We had 5 days in Budapest at the end of a very extensive tour from Prague to Budapest. We saw a lot of the things to do in Budapest. But we still left wanting more. We will surely go back. We bade our OAT tour group goodbye and headed off on our own. 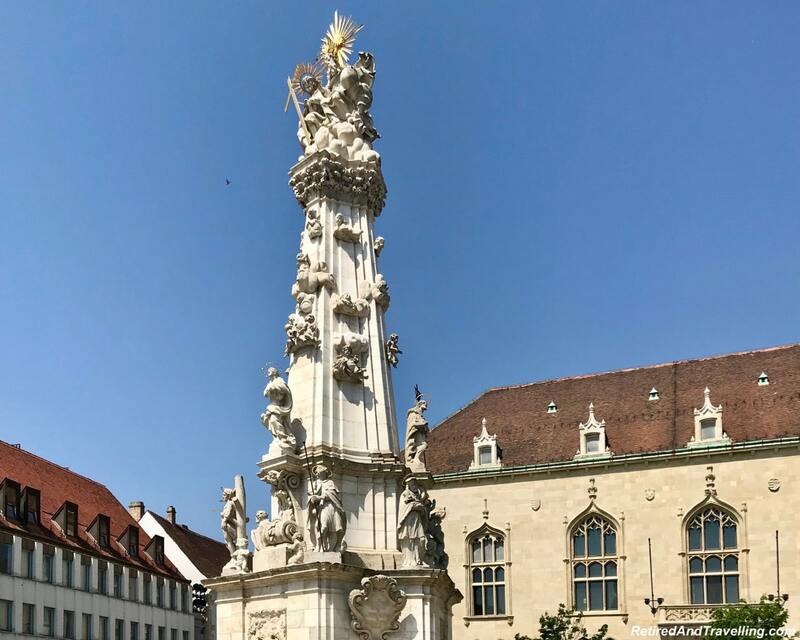 Our next stop was Vienna in Austria. We had 4 more weeks to explore Austria and Switzerland. 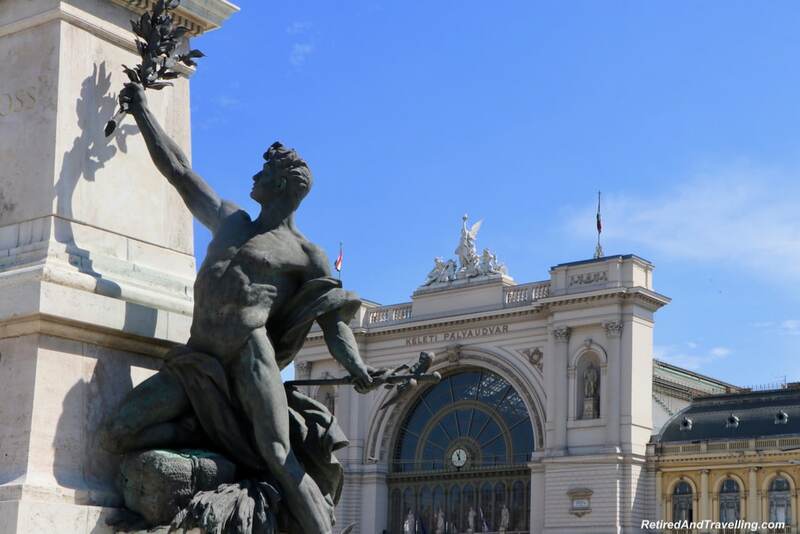 Did you know there were so many things to do in Budapest? What would be top of your list? I visited Budapest briefly a few decades ago and it’s one of the places I’ve wanted to go back to, not least because what I saw was beautiful but I was poorly and spent much of the time in our hostel so I missed a lot. Seeing the sunset and then taking the cruise seems a lovely way to see the city at night. Then in the day explore the historic and architectural sights, incouding the Parliament. 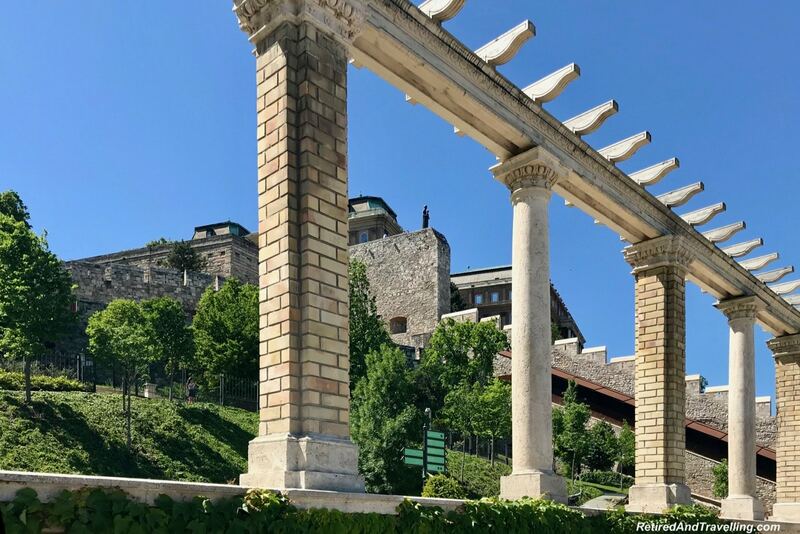 Of course, Buda Castle Hill is a must! Thanks for all the insight on Budapest! I wouldn’t think there would be a statue of Ronald Reagan outside the US, but there he is! How interesting! The architecture is stunning, what an impressive collection of buildings and churches. The outdoor art looks like it’s everywhere! I had no idea there was so much street art in Budapest and from so many different schools of art. Thanks for sharing the inspiration! 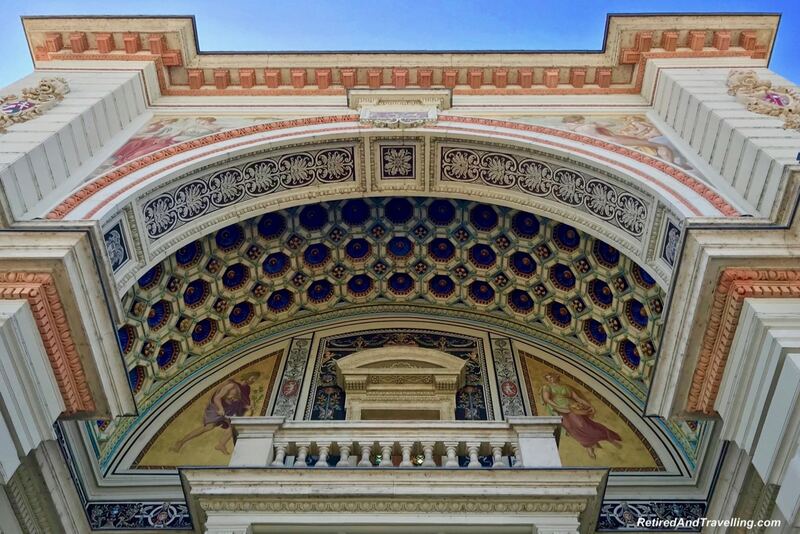 Indeed architecture in BudaPest is stunning. You stayed long enough to see everything and then some on day trips. Lucky you. 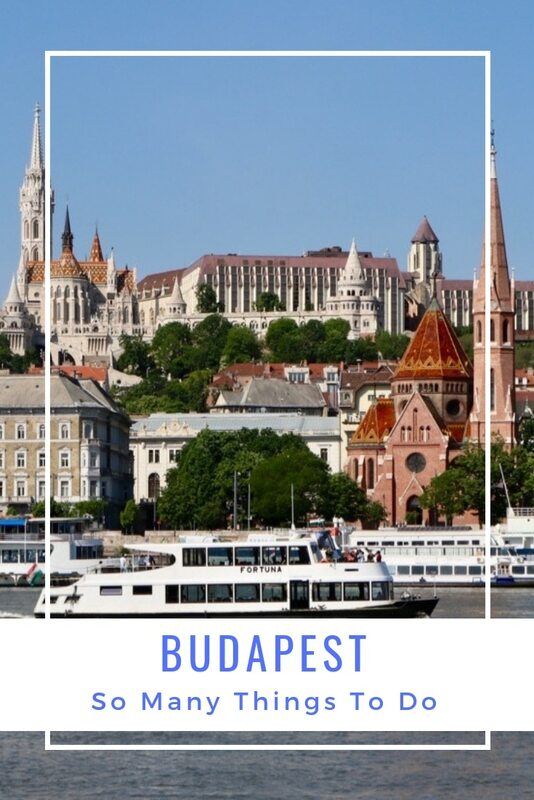 Thanks for the help as we plan our family trip to Europe, including Budapest, next year! The city’s architecture looks so monumental, and I’ve never seen a train customer service desk so beautiful! The strudels look amazing too! Beautiful photography. I really feel like I have a good sense of Budapest from your photos. I love the stories you wove in as you describe the various monuments. However, the Shoes On The Danube” just breaks my heart. How was the strudel? I could eat it right through the screen. What a beautiful overview of a city I look forward to visiting soon. 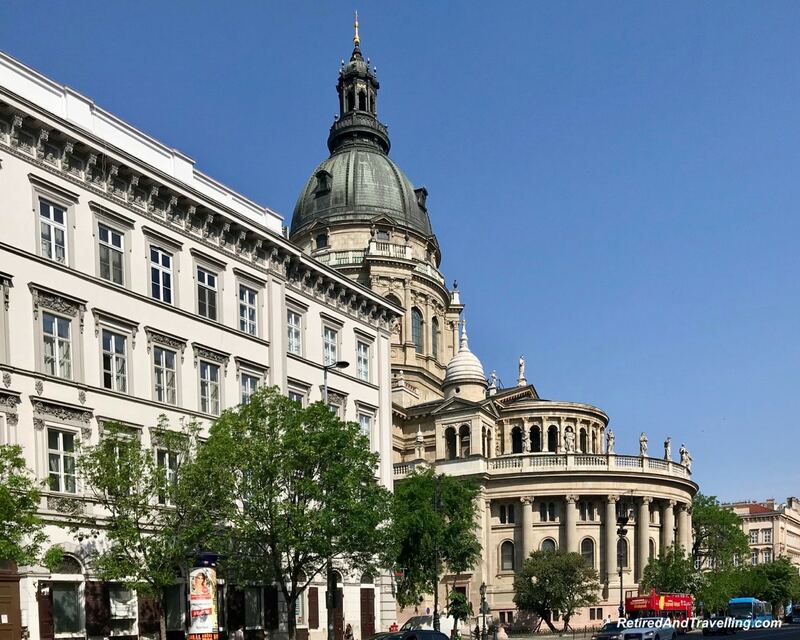 I love Budapest, I only spent a couple of days there though so I’m planning another trip next year to spend more time exploring the ruin bars – and by those views I need to go up Gelert Hill too, I didn’t do that last time but the views look amazing! 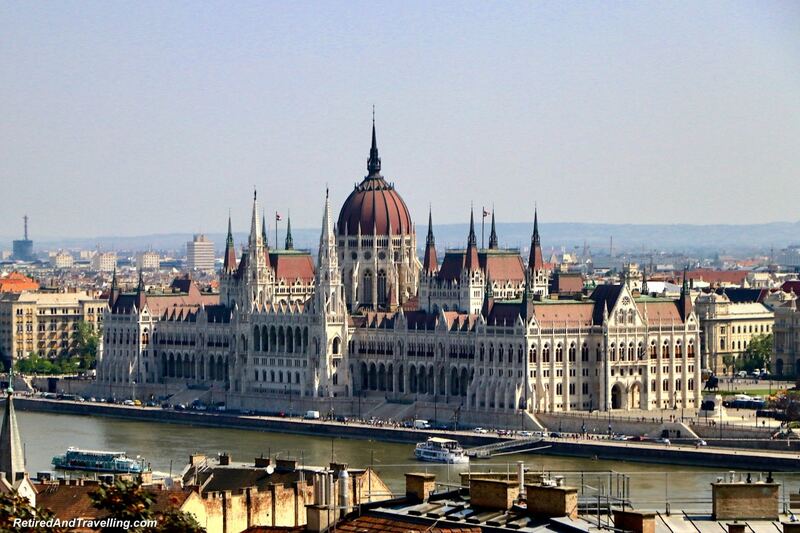 Budapest surely makes it in anyone’s Eurotrip bucket list. The city is just amazing. I’ve seen episodes of travel TV shows featuring Budapest. It’s really lovely. Especially the architecture! You captured such lovely photos. Wow! 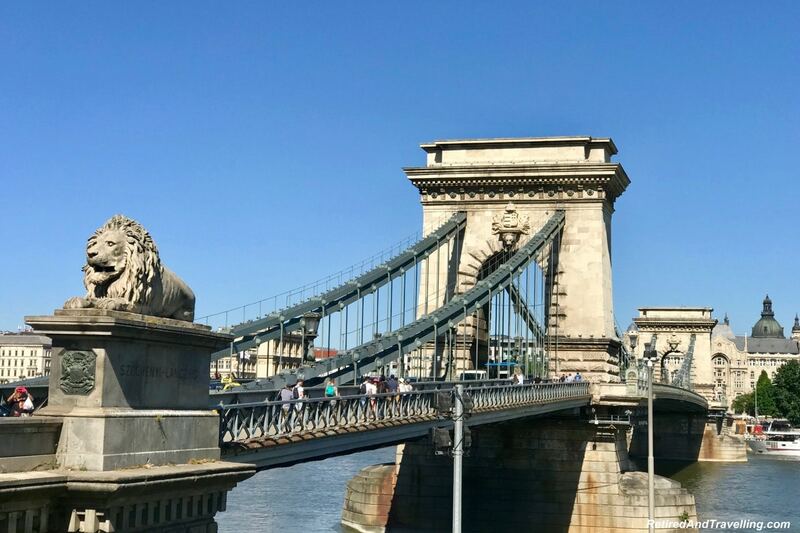 I did not know there were so many things to do in Budapest! 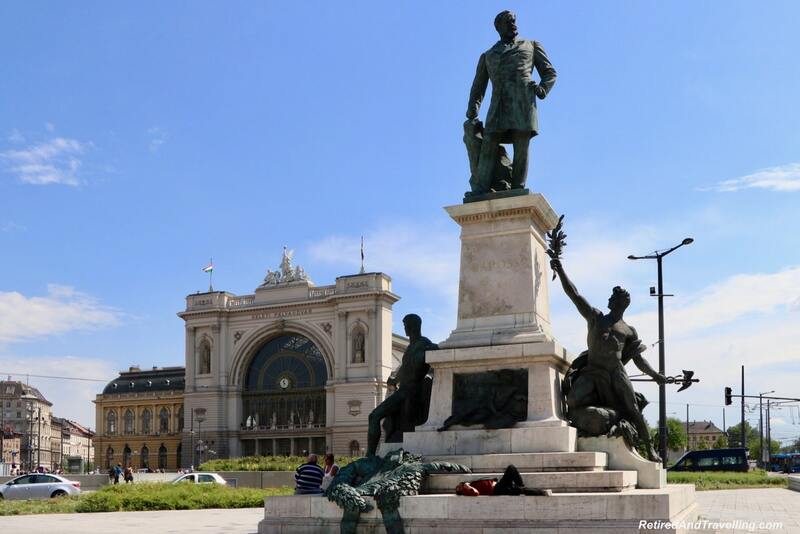 Firstly, that picture on Gellert Hill is truly spectacular!! And St Stephen’s Basilica was sure to be an awesome experience?! 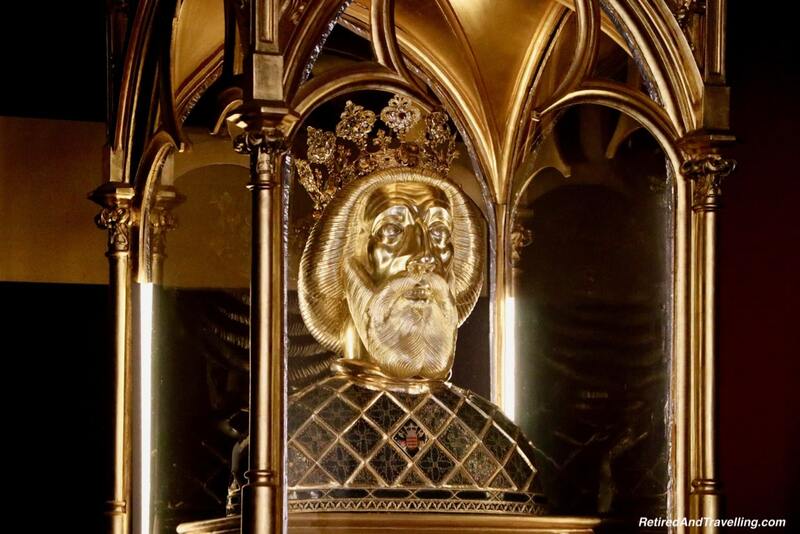 Pity you did not get to go inside Matthias Church but the pictures are still so cool! 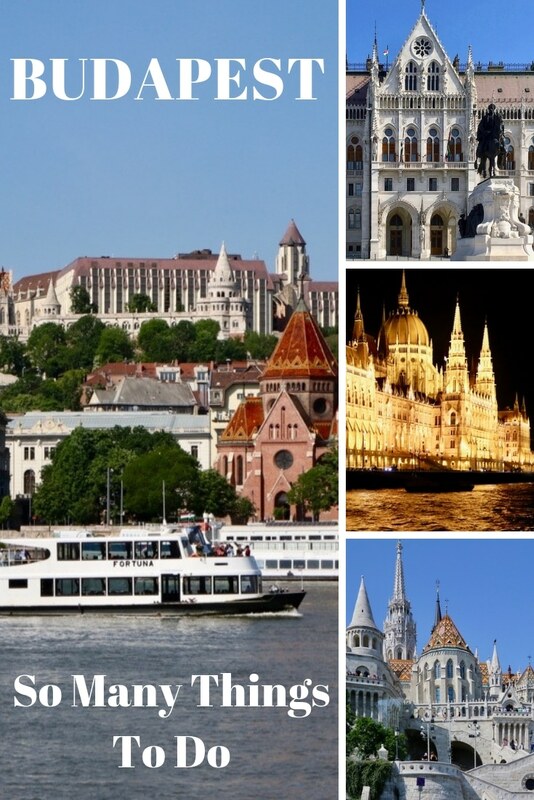 You hit nearly all of the sights that are definitely must sees on a first trip to Budapest. 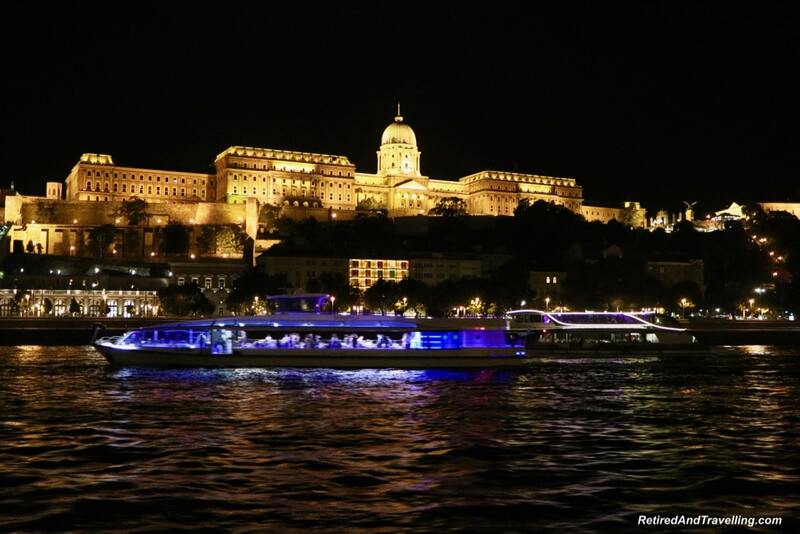 We love seeing Budapest at night so much we’ve done the cruise a couple of times on various visits there. 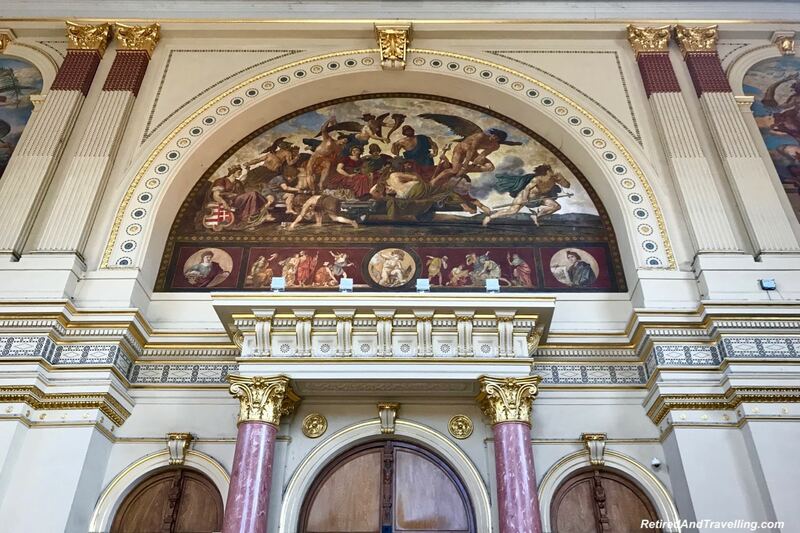 We also love that you can go caving right in Budapest and that there’s a secret wine bar deep beneath Buda Castle. 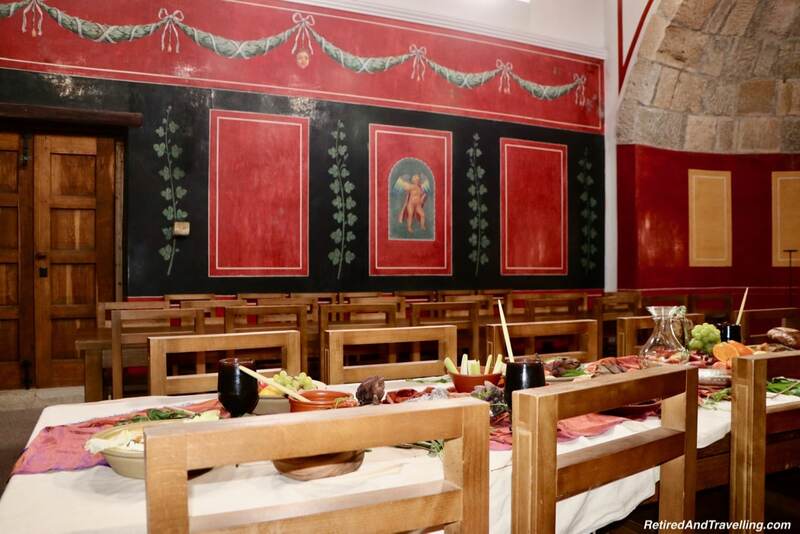 Hope you also had time to visit the bath houses! I am going to be in Budapest at the end of November! 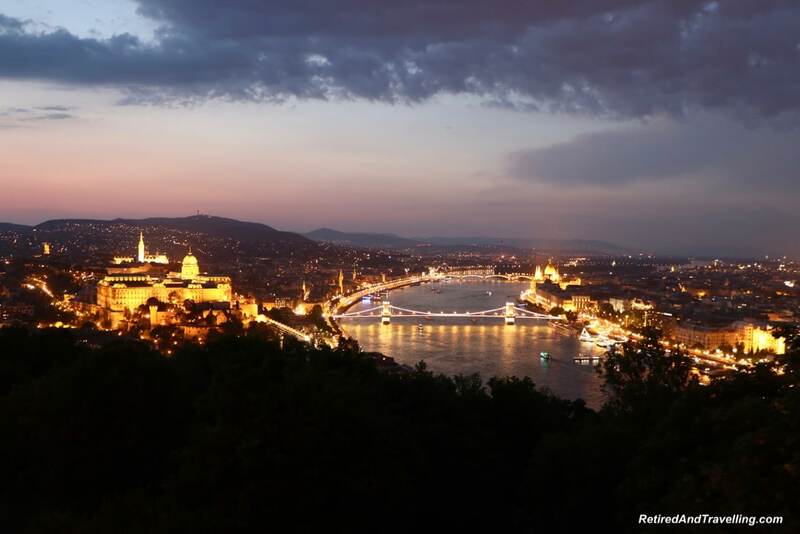 I cannot wait to get there – Buda Castle Hill, a night cruise on the river & sunset views from Gellert Hill are at the top of my list already! I’ll be there for 4 days, with ample time to try out everything you’ve mentioned on the list! Thanks for the inspiration.